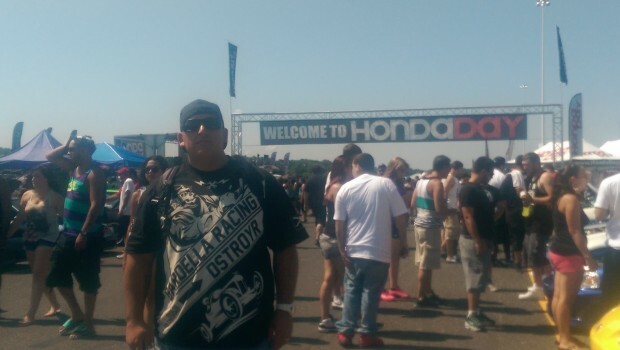 Rich has been going to Honda Day pretty much since the beginning. 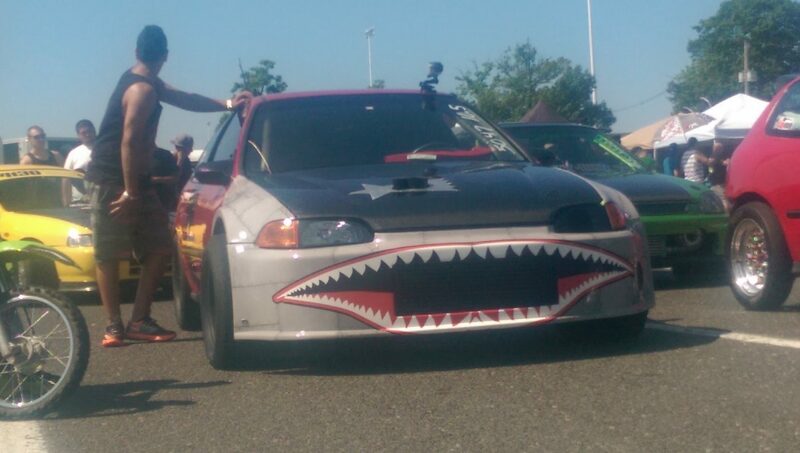 Kinda hard not to be a part of that scene since his brother Gary happened to drive the legendary Ecko drag civic back in the import drag days of yesteryear. A stark contrast between Rich and I to say the least. Though I’ve moved on from Hondas they will always hold a special place in my heart. So much so that I jumped at the chance to tag along and take some photos. Sorry, I forgot my manners… I’m Jose. I work for Rich and his family at County Line. We were pretty stretched for time but managed to snag a few decent photos along the way. 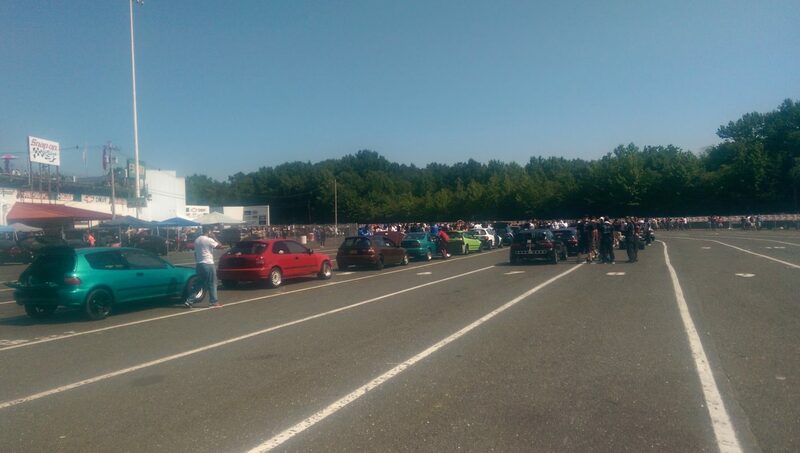 Definitely no shortage of civic hatch’s in the staging lanes!! 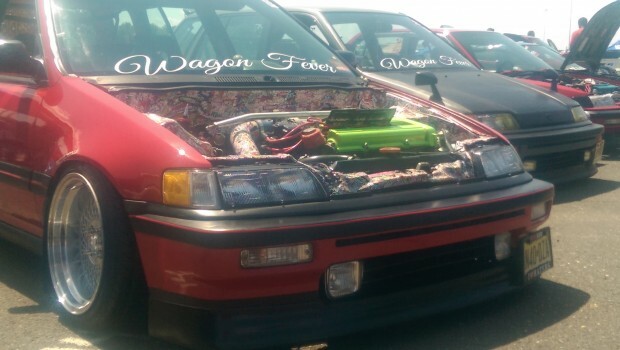 There was a solid contingent of Wagovans and CRVs that tugged at my heartstrings. Both would make the perfect utilitarian daily driver. 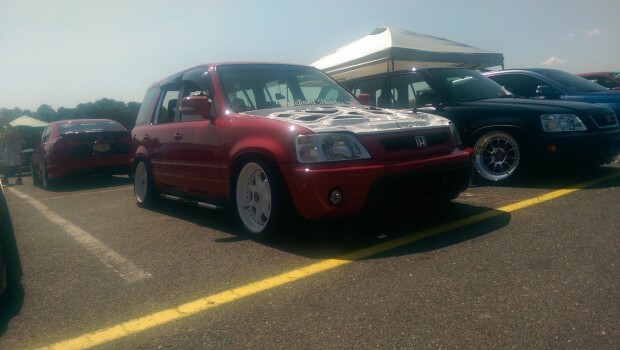 And since they happen to be Hondas you know there is a ridiculously long list of swaps readily available. 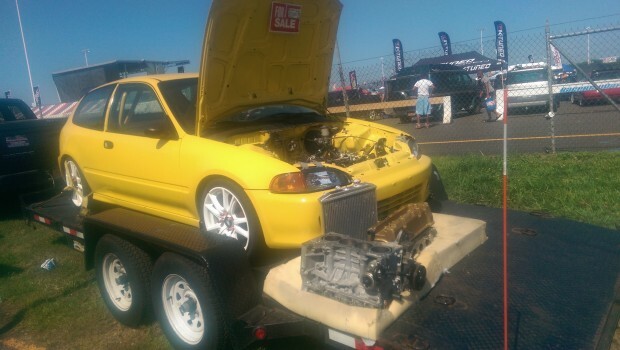 Where else but Honda day can you walk in and buy a phoenix yellow hatch rolling chassis and everything you need for a K-swap? 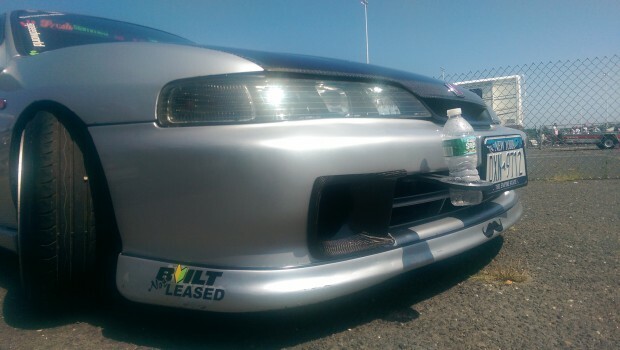 This ITR had a front mount cup holder. Gangsta. 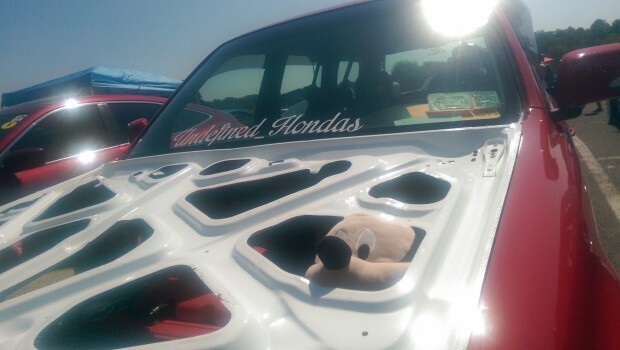 One of my favorite things about die hard Honda enthusiasts is their commitment to race day. 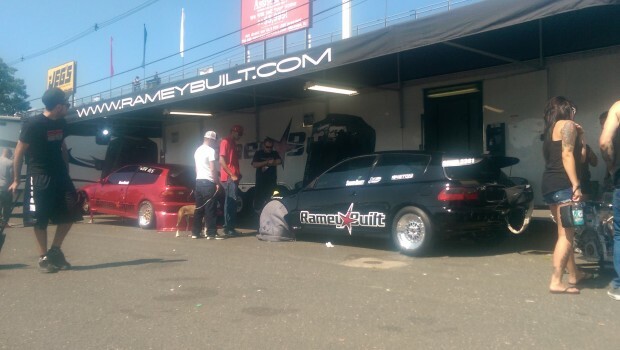 Whether they have big name sponsors and world records, are up and comers, or build their car with buddies at home they all go hard come race day. 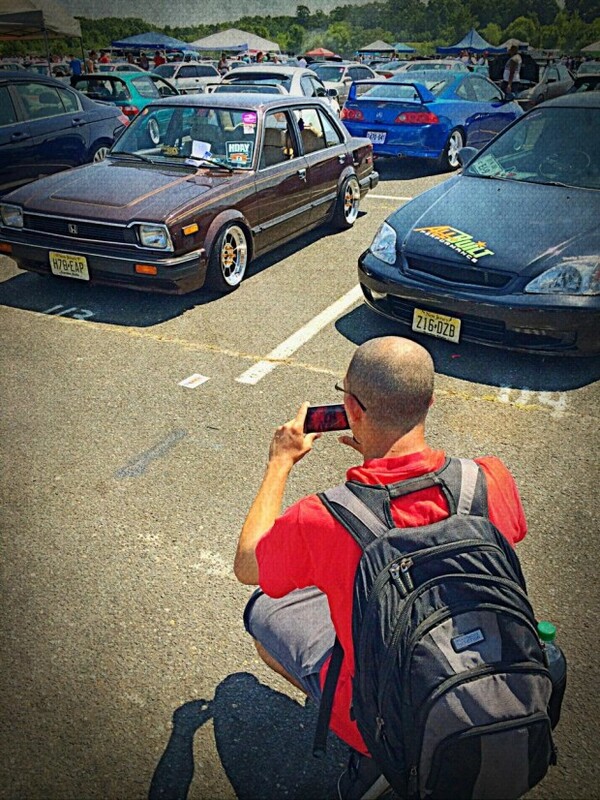 Soichiro Honda once said “I just wouldn’t give in. No way” So why should they? 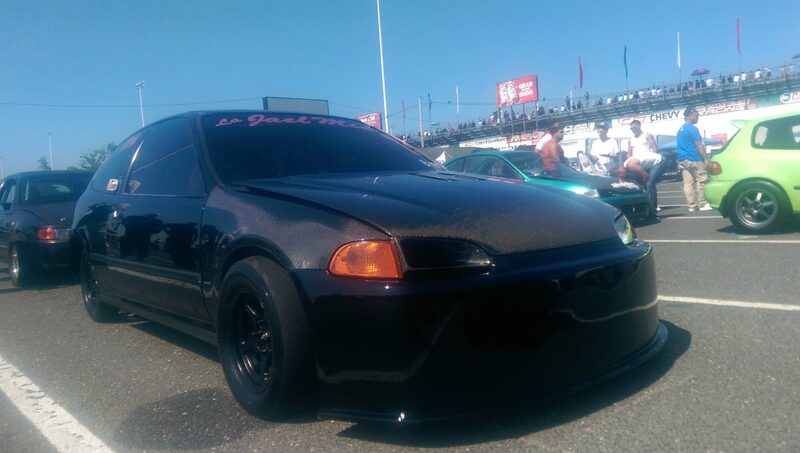 My only regret is that I never brought my 92 hatch or 95 Integra GSR Sedan when I had the opportunity so many years ago. Street Life in OhiO, Good Tymes! Great write up Jose. 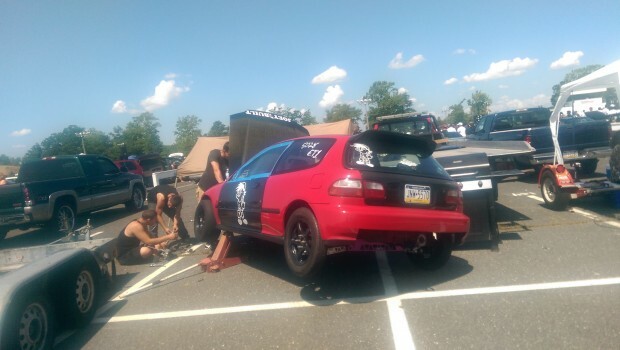 Maybe some day the DC5 will be ready for Englishtown.